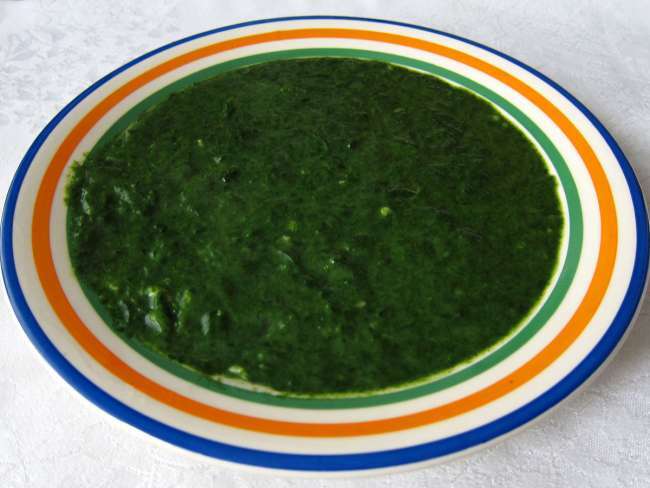 Delicious and healthy spinach for children as well as adults, not just for Fasting Day. 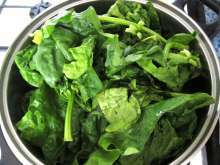 Wash fresh spinach leaves and discard possible lignified parts of stems. 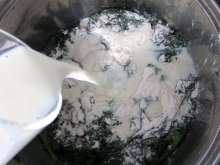 In larger saucepan melt the butter, add spinach into it, mix and steam covered for 10-15 minutes. Add few tablespoons of water as necessary. 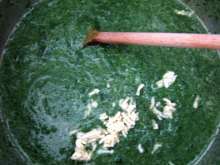 Dust steamed spinach with flour, add milk and half of prepared minced garlic. 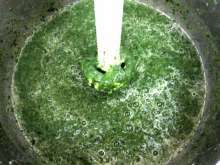 Use hand blender to mix it and reboil. 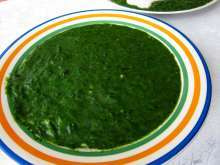 Take part of spinach out for children. Add remaining garlic and season to taste with salt.